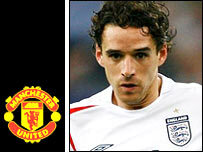 Manchester United manager Sir Alex Ferguson still wants to sign Owen Hargreaves from Bayern Munich - but admits he is making little progress. The 25-year-old midfielder was omitted from Bayern's squad for the Bundesliga match with Bochum on Sunday. Ferguson said: "We are trying hard but Bayern are proving very stubborn and resistant, which I can understand. "We can only do our best. That's what we'll keep doing because we are trying to build a strong squad of players." Ferguson, whose side began the season in sensational fashion with a 5-1 hammering of Fulham at Old Trafford, has made no secret of his desire to sign Hargreaves. The England international is known to be keen on completing the switch from the Bundesliga champions but Bayern are publicly refusing to contemplate the transfer. A statement on their website said: "Bayern has not held negotiations with Manchester United. "Furthermore, the club does not intend entering transfer negotiations regarding Owen Hargreaves." The statement added: "Bayern Munich has officially requested Manchester United to cease pursuing its interest in Owen Hargreaves." Hargreaves starred for England in the 4-0 friendly win over Greece and seems determined to seize on his raised profile in England following his combative and tough-tackling displays during the World Cup. He was seen as England's player of the tournament and continued his impressive rise in the international ranks in the friendly against Greece in new manager Steve McClaren's first game in charge. His inclusion in former England coach Sven-Goran Eriksson's squad for the World Cup raised eyebrows after he had failed to establish himself since his international debut against Holland in August 2001. But he was in impressive form in Germany and starred when he played against Sweden and Portugal. Hargreaves has been linked with numerous Premiership clubs over recent years, including Arsenal, Tottenham and Middlesbrough.